Home Tablets iPad Pro 10.5 – the King of All Tablets? This year, Apple has showcased their continuation to the last year’s 9.7-inch iPad Pro, the iPad Pro 10.5. It is quite clear that the company wants to completely conquer the tablet market. There are plenty of features that show what Apple is aiming at, therefore, let’s take a look at some of them. 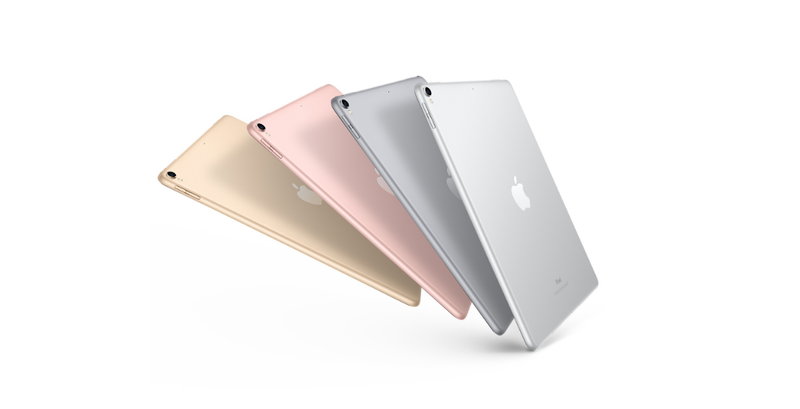 This year’s iPad Pro features a gorgeous screen. During the presentation, it was mentioned multiple times as being the best display in a tablet device. After taking a look at all of the specs, it can be said that Apple has gone a long way to actually reach out to professionals who might need power on the go. The Retina display packs the resolution of 1668×2224, giving the device comfortable 224 PPI. What is more important, the display now supports wide color gamut (P3), something that is particularly useful for those who are thinking about using this device for photo editing purposes. Also, the iOS 10 now has inbuilt support for RAW images, making it completely possible to easily edit RAW files on the device. This makes the Lightroom for iOS a more useful piece of mobile software. Beside the wide color gamut support, the main feature that was talked about a lot is the 120Hz display refresh rate. This is the first mobile device to feature a screen with this refresh rate, something that will make the smooth iOS animations run even better. Interestingly enough, the display will remain at 60Hz to save the battery, however, once you start scrolling and using the device for more demanding tasks, the refresh rate bumps up to 120Hz. Another upgrade users can see is the brightness of 600 nits. The device has received a significant upgrade when it comes to its processing power. It is pleasant to see that storage options have been bumped up to 64GB/256GB/512GB options. Additionally, this year’s model has received an upgrade in RAM memory size. The device now comes with 4GB. These are significant updates, but Apple has mentioned that their biggest update is the new A10X Fusion chip, which packs significantly more power. Especially in the graphics performance department. The chip features 6 cores, 3 of which are high performance, and 3 low performance. On the graphic side, there are 12 cores responsible for graphics performance. Apple is promising 40% improvement compared to the last generation of the iPad Pro. Apple has also added a camera used in their iPhone 7, making it no longer necessary to get your phone out to take pictures while you are using the iPad Pro. Quite useful if you ask me. There is the 4K and 1080p video recording at 30FPS and 60FPS respectively. Furthermore, you can shoot up to 120FPS in 1080p and up to 240FPS in 720p. The front camera comes in at 7MP. In the audio department, Apple has decided to keep what works well. According to TechRadar’s review, the audio system still counts 4 speakers, that are quite loud. Therefore, those interested in flawless multimedia performance can expect a truly immersive experience from iPad Pro 10.5. Two useful peripheral devices are available for this tablet, depending on tasks you are planning to use it for. Apple pencil is aimed at all the creative people who want to be able to draw and write on the go. Writing recognition now works much better, that is to be further improved when iOS 11 is out. This gadget will run you $99. On the other hand, if you want to leave your laptop at home, you can also get a Bluetooth keyboard and use the iPad Pro as a computer. The keyboard is $160, quite pricey if you ask me. According to Apple, the device packs more power than a lot of laptop computers, while being smaller and easier to carry. Therefore, if you are constantly on the go, now is the perfect time to use this device for some tasks while you are commuting or traveling, as it packs plenty of power. Battery size is bumped up this year to 30.4 Wh, promising a 10-hour battery life, with moderate use. You should not expect that if you are planning to use the device for more demanding tasks. Even though iPad Pro packs a big battery, MKBHD notes though, the device does not support the quick charge. This means you are going to wait a bit until your device reaches 100% battery. Well, if you are the owner of last year’s 9.7-inch iPad Pro, you should definitely continue using it. Even though there are some significant upgrades, it is still not enough to make a shift from a one-year-old device. However, if you do not own an Apple tablet, or you are using an older one, there is much more performance packed into this device. Those looking the smallest device that will bring them enough performance to work on the go, iPad Pro 2017 packs enough power for a variety of tasks. It is quite clear that Apple is putting in a lot of effort in their tablet line performance. They are trying to stay ahead of Microsoft’s tablet lineup. Currently, Android is lacking a powerful device, and the tablet space is clearly left to Apple and Microsoft. We will see if is going to showcase an answer before the end of the year. Until then, Apple iPad Pro 10.5 is one of the best tablets of 2017 you can get. What do you think of this device? Are you thinking about buying it? Previous articleOnePlus 5 Is out – Is It Still a Flagship Killer?